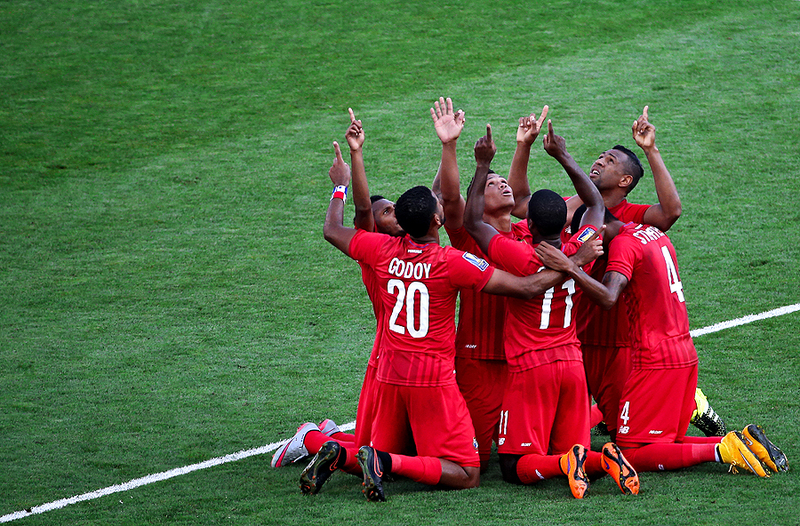 "Roberto Nurse #9 of Panama celebrates with teammates after scoring a goal against the United States in the second half during the CONCACAF Gold Cup Third Place Match at PPL Park on July 25, 2015 in Chester, Pennsylvania." Everyone always wants to shoot the championship and big name teams, players. Photographers think these big time match-ups produce the best pictures, when in reality, every day matches do the same. After two days of coverage during the CONCACAF Gold Cup, it was the third place match at PPL Park that provided one my favorite rectangles from our coverage of the last two days of the tournament. While the championship game boasted a lot more emotion - as Mexico hoisted the trophy and scored three times - the third place game still proved to be visual. As I roamed the upper concourse for a cleaner angle in the second half, a go-ahead goal had Panama tasting victory. It's one of the frames you hope is storytelling after the final whistle - and it was. Looking forward to one more soccer game this week and hoping the action and emotions continue to be great.